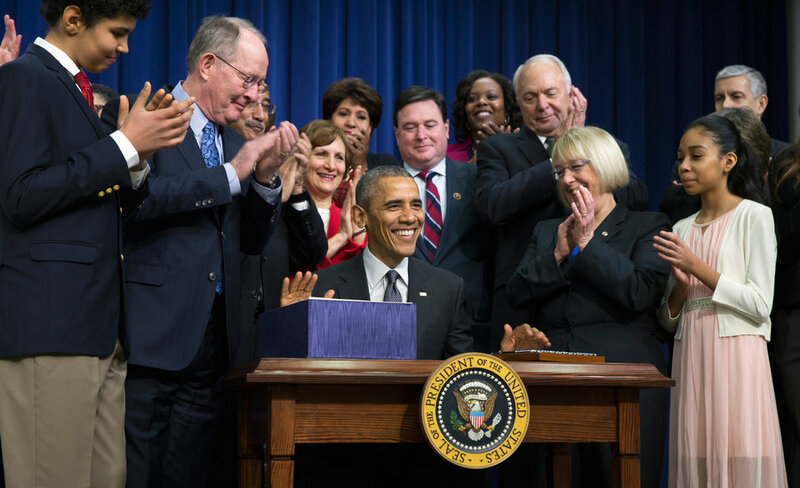 The Every Student Succeeds Act (ESSA), which became law on December 10th, shifts educational authority away from the federal government and provides greater control at the local and state level. While there is much to be determined about how ESSA will look in Texas, an immediate benefit to the state is the end of requests for federal waivers. ESSA specifies that statewide Elementary and Secondary Education Act (ESEA) waivers are null and void on or after August 1, 2016. The new teacher and principal appraisal systems – Texas Teacher Evaluation and Support System (T-TESS) and Texas Principal Evaluation and Support System (T-PESS) were designed without the use of state testing scores as the value-added measurement tool. This placed them under a conditional waiver for not meeting the federal requirements of including student test scores as a mandatory component of educator evaluations. Now that the need to secure a waiver is not required, districts can begin to transition to T-TESS and T-PESS, and the evaluation systems will become the state teacher and principal appraisal systems in 2016-2017. For current Texas teacher certification and principal certification candidates, this is the system of professional evaluation they can expect to encounter for the foreseeable future. While districts will be required to implement student growth as part of their appraisal system in 2017-2018, the district will not be required to use state test scores as their measurement tool. As Texas responds to ESSA, iteachTEXAS will continue to inform our teacher certification candidates and districts with new updates. Learn more about iteachTEXAS here.